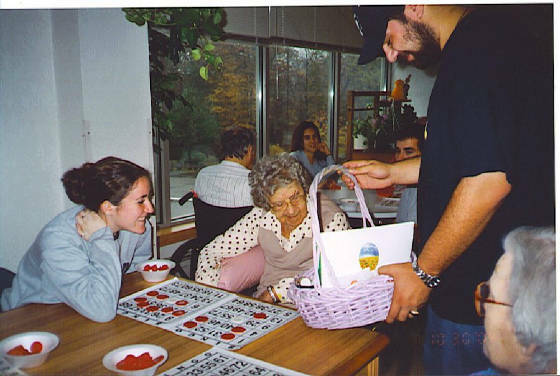 On October 30th a group of 17 UCONN students brought joy and excitement to the residents of Mansfield Rehabilitation center. 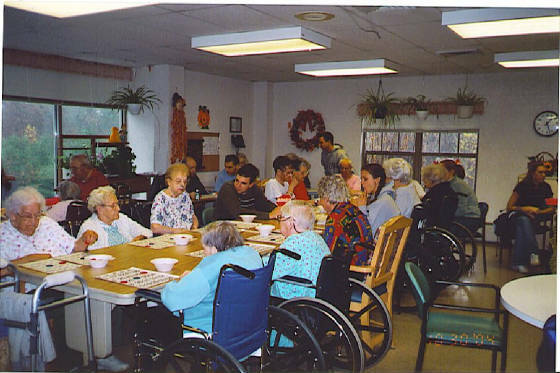 As soon as the residents were situated around long tables the intense games of Bingo began. 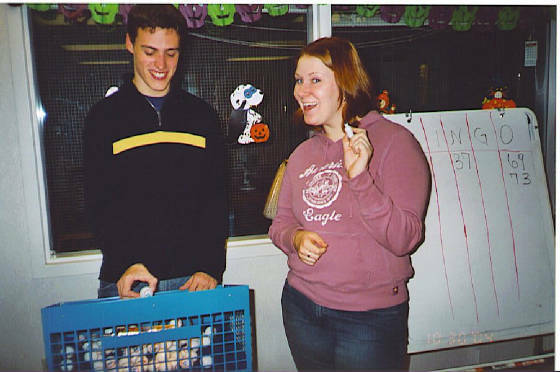 Throughout the B 4's and O 37's the residents kept track of their boards in hopes of winning one of the many little prizes. The students enjoyed talking with the residents and assisting with the numbers being called. A few of the students also had the opportunity for more personal one on one time with a few of the less mobile residents. The students gave hand massages and talked with the residents. The atmosphere was comforting and peaceful and it was enjoyed by all. TLC has a continuing relationship with Mansfield Rehabilitation and will visit again on December 10th to sing Christmas Carols to the residents.